When asked, most people think they are good at multi-tasking. Scientific studies, however reveal that only around 2% of the population can truly demonstrate the capacity to effectively multi-task. For the rest of us who are not so biologically wired, no amount of practice can increase our effectiveness at multi-tasking. Turns out, multi-tasking is almost a superpower. Think of fighter pilots: capable of maintaining their orientation in three dimensional space and performing specific and highly complicated functions while accessing life threatening situations and coming up with an appropriate response. Admit it – you can’t do that. Yet when it comes to driving, we seem to think we are very capable of safely operating a motor vehicle with a myriad of distractions. Seventy-seven percent of young adults feel somewhat confident that they can safely text and drive while fifty-five percent claim it’s easy to text and drive. Can they possibly be right? Let’s look at some statistics. 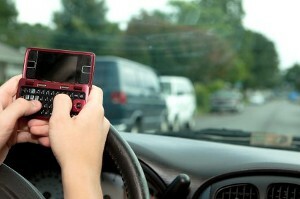 Nearly 23% of all accidents in the United States involve cell phones. Every day, 11 people are killed and over 900 are injured in texting related accidents. In fact, texting while driving is six times more likely to cause an accident than driving intoxicated. Just think back – have you had your own experiences? How many “near misses” have you had as a pedestrian or in a vehicle that have involved a driver with a cell phone in their hand? Of course, texting or using a cell phone involves all three. Eating, applying make-up, arguing and working on-board features like the stereo and navigation system are all very real distractions. You may be interested to know that hands-free cell calls are not substantially safer than using a hand held phone. Any time you glance away from the road (like looking at a text or incoming phone call) your eyes are off task for at least 5 seconds. At 55 miles per hour (88 kilometers per hour), you will cover the length of a football field in that time. Would you ever consent to strapping on a blindfold and driving off down the road for that distance? So what do you do? First, accept the fact that you are not part of the 2% of all the people on the planet who can truly multi-task (if you are one of the lucky one you would know by now because your performance does not degrade no matter how many additional tasks are added). Next, don’t EVER drive distracted. Incoming text – it will wait for later. Juicy hamburger, eat it in the parking lot. No exceptions, ever.